In Bologna, from today until Friday, January 11th, forty representatives from the Armenian Government, Universities and business world will meet AlmaLaurea for the official kick-off of a project called Higher Education Network for Human Capital Assessment and Graduate Employability in Armenia (HEN-GEAR Project). This cooperation project is funded by the European Tempus programme for a total of 800 thousand Euros over a period of three years. Aim of the project is to make it possible for the Armenian University system to carry out surveys on the graduates’ profile and set up an online database with all their curricula in order to promote better matching between job demand and supply. 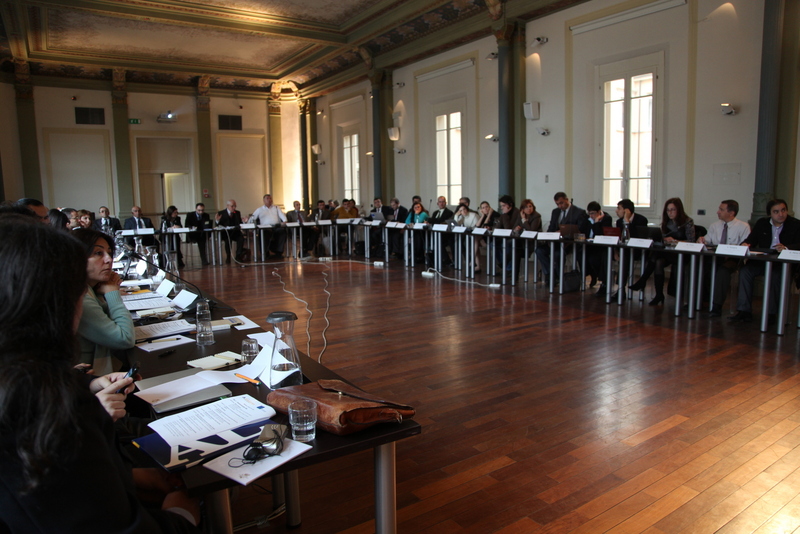 AlmaLaurea has the task of transferring its know how and skills to the Armenian partners, i.e. the National Quality Assurance Agency, the University Students’ Association, the Union of Manufacturers and Entrepreneurs, the Ministry of University and Research, the Ministry of Labour and Social Policies. 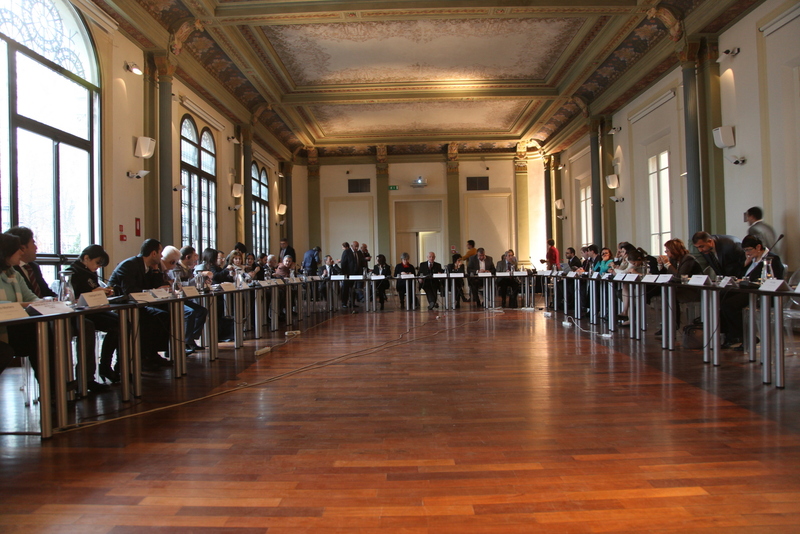 The three-days’ meeting will be officially opened by Carla Salvaterra – Rector’s Delegate to International Relations at the University of Bologna – and will be attended, among others, by the following representatives of the Armenian Government: Tatevik Arakelyan (Education and University), Tadevos Avetisyan (Labour and Social Policies), Rectors and Vice-Rectors, Armen Aleksanyan (Armenian National Students’ Association), Eduard Kirakosyan (Director of the Union of Manufacturers and Businessmen Employers of Armenia). Late this afternoon (6 p.m.), Fabio Roversi Monaco, President of AlmaLaurea, will accompany the Armenian guests on a visit to the Genus Bononiae Museum in Palazzo Fava. On Friday evening Ivano Dionigi – Rector of the University of Bologna – will meet the Armenian delegation. The project relies on external consultancy provided by three European Universities: University of Minho, Braga (Portugal), University of Huelva and University of Las Palmas (in the process of developing the “Porta Laurea” system in Spain). “The experience of AlmaLaurea - developed in a bottom-up approach thanks to spontaneous membership and full involvement of the Universities which are part of the Consortium – can be regarded as a success story. In the European and in the world scenario one cannot find similar experiences, capable of joining so many elements of the University community as has been the case here in Italy ”, explains Prof Andrea Cammelli, founder and Director of AlmaLaurea. “We thought that our experience and skills were ripe enough to be made available to other countries for the benefit of their respective University systems, with a goal to provide their graduates with a broader showcase than the national one ”. The reasons which led to the establishment of AlmaLaurea at the University of Bologna in 1994 are still true today. Indeed, in 2010, the Nobel Laureates in Economic Sciences Diamond, Mortensen and Pissarides stressed that “on many markets, including the job market, buyers and sellers do not always make contact with one another immediately”. If this is a big issue in many European countries (especially in the Mediterranean area) it is also heartily felt in the Caucasian area, where unemployment and the structural mismatch between job demand and supply continue to be of great concern. Unemployment in Armenia is quite substantial, as shown by the 2008 World Bank data. “It is therefore necessary to implement policies to promote better employment opportunities for the qualified workforse”, stresses Andrea Cammelli. The words of Andreas Schleicher, from the OECD Education Directorate, contain the very essence of the challenge facing the Universities: “Schools have to prepare students for jobs that have not yet been created, technologies that have not yet been invented and problems that we don’t yet know will arise”.. The project envisages the setting up of a pilot system to monitor the Armenian graduates’ careers in a timely, reliable and continuously updated way, so as to provide their Universities with the necessary feedback documentation to improve their training performance. Furthermore, the graduates’ search for a qualified job will be supported by making their CV’s available online. Eight of the most important Armenian Universities have joined the project: six State Universities from the capital city Yerevan (State University, University of Economic Sciences, University of Architecture and Building Sciences, University Institute of Engineering, University of Agricultural Sciences and Academy of Fine Arts), the University of Gavar and the “M. Nalbandyan” Pedagogic Institute in Gyumri. 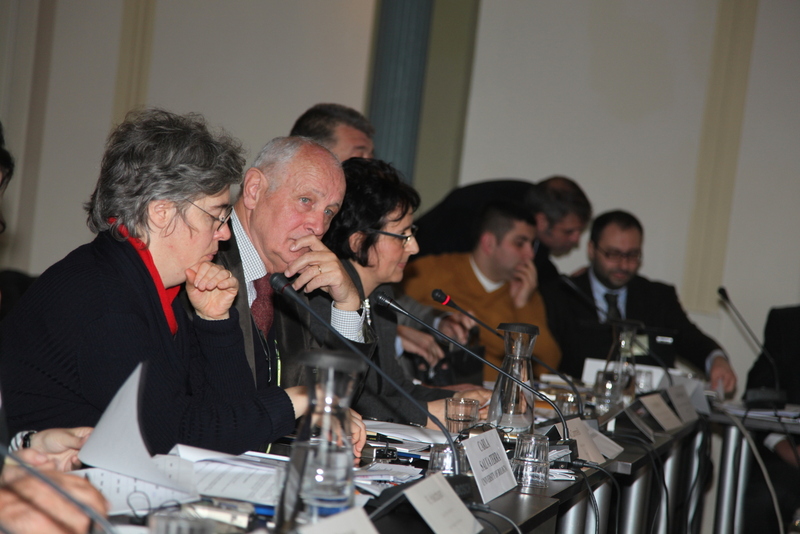 “AlmaLaurea will fully commit itself to the delicate task of sharing a new culture of evaluation with the Armenian academic community and provide highly qualified graduates with sheltered pathways for the transition from University to the job market - concludes Prof Cammelli – The project which originates from Bologna is the result of an international inclination which AlmaLaurea has cherished since its very beginning”. Among the international projects started by AlmaLaurea, mention should be made to the relationships established with twenty European and Latin American Universities in the framework of the GRADUA2 project funded by the European Commission; the development of a European graduates’ databank prototype within the European Commission’s eTEN Programme; finally, the relationship started with the Universities of Morocco and Tunisia, again in the framework of the European Union TEMPUS Programme, to create monitoring systems based on a graduates’ database - it is an on-going project to be completed in the next three years.